Rural Metro Emergency Management Services (PTY) Ltd® is B-BBEE complaint. Established in October 2000, we are a fully independent Organisation that specialises in Fire Brigade Services, Training and Disaster Management. The Company comprises of full-time certified professionals with considerable experience in the aforementioned disciplines. 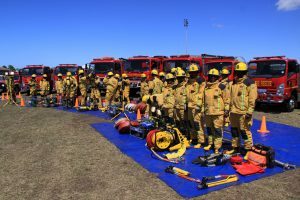 Rural Metro’s Internationally Accredited Academy offers training in a range of subjects relative to Firefighting, Disaster Management and Occupational Health and Safety.